White Chocolate Bunny Ears: The Blue Nile. A Walk Across The Rooftops (1984). 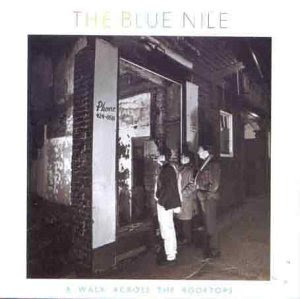 The Blue Nile. A Walk Across The Rooftops (1984). We have all had a moment alone, while looking out the window of a train, bus, or restaurant, caught in a state of in-between-ness, remembering the past, anticipating the future, but locked in a present where time has shut down, waiting, alone with one's memories, the only reality being the stagnant present. At the center of every cherished moment is a kernel of failure. At the heart of every incidence of beauty is the reflection of death. Paul Buchanan is a master of recreating these liminal moments when submerged thoughts break the surface of consciousness. When he sings in "A Walk Across The Rooftops," "I am in love, I am in love with you," it's not banal, it's startling and uncomfortable. These amazing tracks, now over 20 years old, still sound contemporary, with minimal drums, atmospheric field recordings, synthesizer, stark piano, and fretless bass. Although delicious, one should not overindulge on The Blue Nile. It's best to savor them when you have an interrupted span of time, and sink into their deep meditative spaces. You cannot immediately resume your normal pace after listening to this band. It will take a period of adjustment to come back. So, don't overdo it. 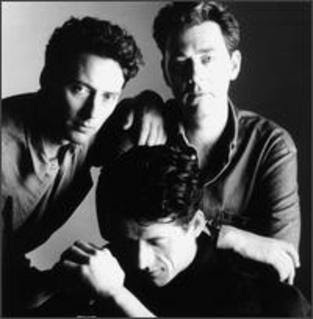 Here's an excerpt from Flags And Fences, a documentary featuring The Blue Nile's 1990 tour of the US. 1990 never looked so nostalgic. Don't miss the scenes of the WTC, and a billboard advertising Goodfellas.